I read about this book on the blog of Mark Sedgwick. Of course the title is enigmatic, but it was mostly because it was mentioned on a Traditionalistic source that it caught my attention. There are two English translations of this weird, little book in German and I just ordered one of them. This proved to be a book translated and introduced by Stephen Flowers! The full title goes: “Secret Practises of the Sufi Freemasons; the Islamic teachings at the heart of alchemy”. The book is only 138 pages, 63 of them are introductionary and another 8 contain notes. Flowers wrote an interesting introduction about the man who would be one of those behind the infamous Thule Gesellschaft, but this was not after he moved to Turkey and got initiated into the Sufi order of the Bektashi. However Adam Alfred Rudolf Glauer (Sebottendorff’s birthname) was born in Germany, he lived most of his life in Turkey, also before, during and after WWII. According to Sebottendorff the original Freemasons came from Rosicrucian circles (and way before, he has Freemasons in 900 CE) and the original teachings and techniques were kept by Freemasons in Islamic countries, the West has only maintained a shadow. These Eastern Freemasons seem to be Sufis, one order of which Sebottendorff was initated into by the adoptive parents that he also has to thank for his title. 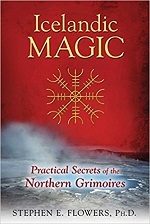 The little book of Sebottendorff contains some history and theory, but mostly practices through which his readers can develop a “spiritual body”. In total it comes to me as a mishmash of Theosophism (indeed, the book was first published by the German Theosophical publishing house and some books that the author recommends also come from this corner), some sort of ‘Arabic Kabbalism’ (I guess he learned this in the Bektashi order) and indeed, the practices include grips and words that reminds of Freemasonry. A strange little book to read and I still wonder how it ended up on a Traditionalistic blog. Readers of these pages may have heard about the German occultist Peryt Shou because of the Turbund Sturmwerk / Inade vinylbox. When looking through the internet, the most links refer to this box. The Turbund website also has some information about Albert Christian Georg Schultz (1873-1953) -who took the name of Peryt Shou-. And from the American Rûna-Raven a few of his writings are available in translation. Just like the recently reviewed booklet about Johan Bure of the same publisher, this is a photocopied A5-booklet, just a little thicker. There is an introduction with some information about the man, a translation of the work and notes at the end. Shou proves to have been a strange fellow. 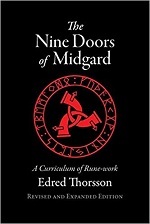 In the reviewed booklet he finds Christianity in the Eddas and makes a combination between Christ who died at the cross and the “Wuotan-Christ” who resurrected nine nights later (of course referring to the nine nights that Odin hang on a tree to gain knowledge of the runes). Also Shou seems to be heavily influenced by the system of the Armanenrunes of Guido von List and he was somewhat of a visionary predicting the coming of the “Wuotan-Christ” in his time. All this he works out into a strange esoteric system with rituals and everything. Also on the political front Shou wasn’t much of a follower. He was and is popular among ‘nationalistic occultists’ (if you permit me to put it that way), has been friends with the founder of the Thule Gesellschaft, but also in this booklet he displays much appreciation for communism. A nationalistic and more spiritual version of it, but still. This and other things make Shou to not fit into a strict corner and this writing is as similarly hard to define. Hard to read too, because I not only disagree with him frequently, but there are many things he says that I simply can’t follow. This DOES make the booklet an interesting read of course, because it forces me to think certain things over. 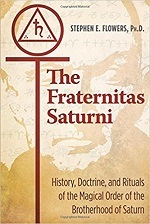 Not the most easy reads of these visionary occultists, but it is nice to see that such writings are at least available for those who want a taste of it or study it more in depth.